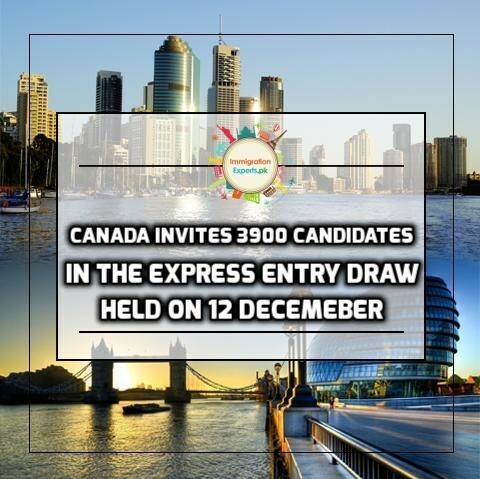 A new Express Entry draw held on December 12th, which maintained the number of Invitations to Apply (ITAs) as were in the previous held draws. 3900 ITAs were issued to candidates with the minimum Comprehensive ranking Score (CRS) of 445, similar to the score in the previous Express Entry draw held on November 28. Eligible candidates achieve a score under the Comprehensive Ranking System (CRS) that determines their position in the Express Entry pool. The highest-ranked candidates in the pool are issued ITAs through regular draws. By receiving an ITA, one get’s eligible to apply for Canadian Permanent Residency (PR). Canada’s Federal High Skilled economic immigration programs are categorized in the Federal Skilled Worker Class, Federal Skilled Trades Class and Canadian Experience Class, and are managed by the federal Express Entry system. Immigration, Refugees and Citizenship Canada (IRCC) conducts two Express Entry invitation rounds a month, and it has continuously issued 3,900 invitations in a single draw since October 3. The December 12 draw brings the total number of invitations issued so far this year to 85,900, which is just few figures behind the invitations issued in 2017. One more draw before the end of this year will certainly overtake the record of last year’s total of 86,022. IRCC had set a target for invitations under Canada’s updated multi-year immigration levels plan, which projected that invitation targets will increase between 2019 and 2021 consecutively. A total increase of 18.6 per cent over the 2018 target is expected in the following years. Find your eligibility for Canadian Immigration through the Express Entry pathway by sending us your resume. Feel free to contact us on the following details.